THIS LISTING IS FOR THE ONE COIN SHOWN WITH ZOOM PICS FRONT AND BACK. 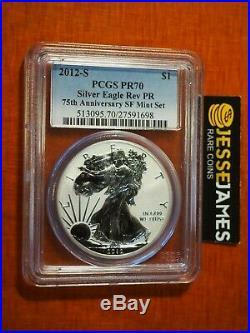 2012 S REVERSE PROOF SILVER EAGLE PCGS PR70. 75TH ANNIVERSARY SF MINT SET’ BLUE LABEL. The item “2012 S REVERSE PROOF SILVER EAGLE PCGS PR70 FROM SAN FRANCISCO SET BLUE LABEL” is in sale since Friday, February 8, 2019. This item is in the category “Coins & Paper Money\Bullion\Silver\Coins”. The seller is “jesse_james_rare_coins” and is located in Hudson, Wisconsin. This item can be shipped to United States, Canada, United Kingdom, Denmark, Romania, Slovakia, Bulgaria, Czech republic, Finland, Hungary, Latvia, Lithuania, Malta, Estonia, Australia, Greece, Portugal, Cyprus, Slovenia, Japan, Sweden, Indonesia, Belgium, France, Hong Kong, Ireland, Netherlands, Poland, Spain, Italy, Germany, Austria, Bahamas, Singapore, Norway, Saudi arabia, United arab emirates, Bahrain, Croatia, Malaysia, Chile, Colombia, Costa rica, Panama, Trinidad and tobago, Guatemala, Honduras, Jamaica, Viet nam, Uruguay, South Korea, South africa, New Zealand, Philippines, Bangladesh, Bermuda, Brunei darussalam, Bolivia, Ecuador, Egypt, Gibraltar, Guadeloupe, Iceland, Jordan, Cayman islands, Sri lanka, Luxembourg, Macao, Oman, Peru, Paraguay, Reunion. 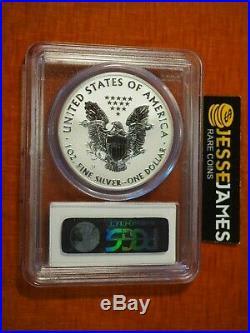 This entry was posted in reverse and tagged blue, eagle, francisco, label, pcgs, pr70, proof, reverse, silver. Bookmark the permalink.